I trust your week is going well. This week's post stemmed from an heresies article that I read online; the author wrote that, tithing was not paid before the Law was given. I was amazed at the number of people that agreed to the heresies teaching. I took it as my responsibility to share the truth about tithing with my Christian readers and followers. I'm a firm believer of tithe payments, and as I continue to attain maturity in my Christian faith, my understanding of tithe payment has increased immensely. Throughout the Bible, we are encouraged to give the first part of our resources to God as an expression of honour and gratitude: “Honor the Lord with thy substance, and with the firstfruits of all thine increase: so shall thy barns be filled with plenty, and thy presses shall burst out with new wine” (Proverbs 3:9–10). Did you know that many famous Christian business people throughout history were faithful tithers, including Henry John Heinz of Heinz 57 Varieties, and William Colgate, the toothpaste magnate? Some of these people were so blessed that they gave God 90 per cent of their income and lived on the other 10 percent. While many Christians pay tithe with joy and in obedience to the Word of God, some Christians struggle to understand the concept of tithing. When they do pay tithe, they feel guilt tripped to pay it because in their minds, they believe tithing was only done when God gave the Law to the children of Israel. Was there any tithing before the Law? Before the Law, Abraham and Jacob paid tithe to the Lord. In fact, Jacob was not a giver by nature; he cheated his brother Esau out of his birth right which entitled him to double of their father's inheritance. When Jacob worked with his father-in-law (Laban), he took advantage of him. So, what made Jacob pay tithe to God even before the Law was introduced? What about Abraham? Why did he tithe before the Law? Key themes: Abraham and Jacob paid tithe because of their love for God, without any law influencing them. They paid tithe to express their gratitude to God. They put God first in the place of giving. 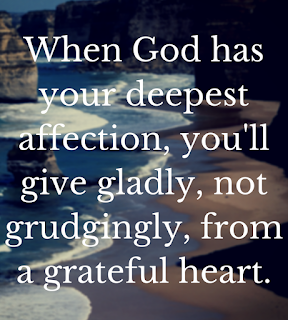 God also demonstrated his love through giving as He gave His only son to die for you and I (John 3:16). Is the law of tithing abolished? The law of tithing has not been abolished as there is no evidence that it was abolished after the new covenant. If it was abolished, the scriptures would have mentioned it. I have not read any evidence in the bible to suggest that tithing has been abolished, and the Holy Spirit has not told me otherwise, thus, I believe tithing continues. I also don't believe the scriptures in Malachi 3:10-12 has been abolished. The summary of the commandment in the new covenant centres on loving the Lord with all our heart, soul and mind, and loving our neighbours as ourselves. If you are to check the 10 commandments, the first five commandments centred on loving God while the last five is about loving others. It is therefore crucial to tithe out of love for God. Actually would anyone tithe out of hatred? I doubt it. An author wrote, instead of saying "I am giving God my tithe", you should say, "I'm giving God His tithe" as the Bible says, 'the earth is the Lord's, and the fullness thereof; the world and they that dwell therein' (Psalm 24:1). "Tithing is one way to worship God—to honour Him as your provider and remind yourself that all of your resources belong to Him and are provided through His grace. As you give away that first 10% of your income, you set your course to honour God in the way you handle the rest of your finances." 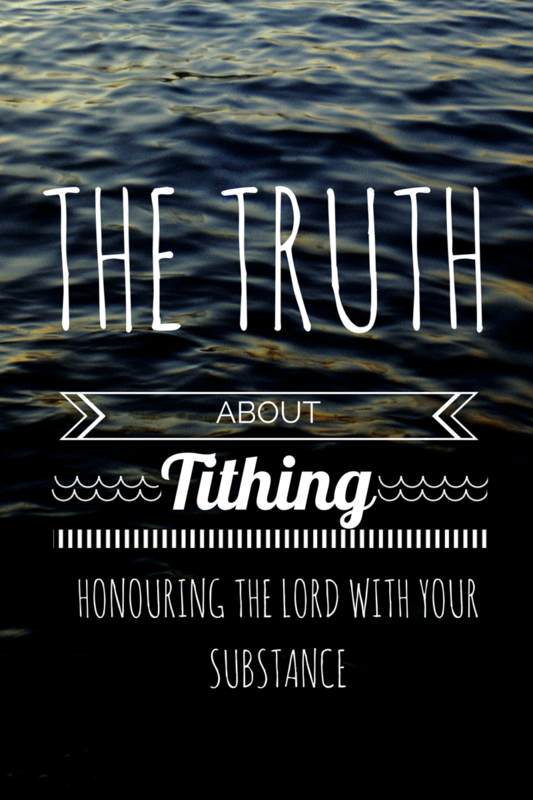 Establish a pattern of tithing in relation to when you receive your income. 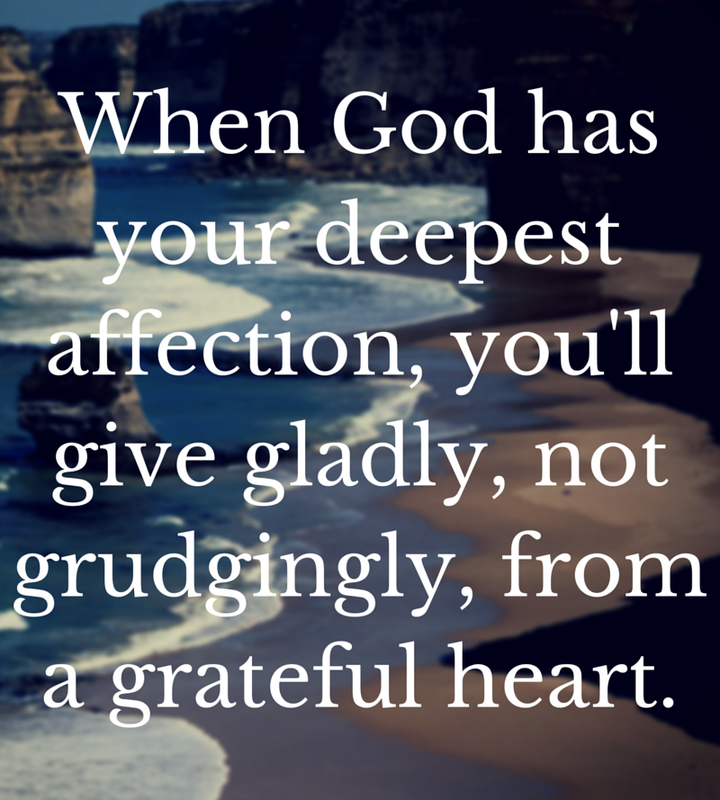 Also, examine the motives of why you are giving to God. Remember God loves a cheerful giver, He wants everyone to give whatever they have decided in their heart to give, not reluctantly or under compulsion (2 Corinthians 9:7-8 Paraphrased). The tithe should be given to the local church where you worship. God wants the tithe to be paid into His storehouse (Malachi 3:10). However, there was a time God led me to pay my tithe to another church. It's important to be led by the Holy Spirit. The tithe is 10% of your income. Tithing demonstrates your dependence on God in the good times, and in hard times when your resources are low. Tithing also demonstrates that you have conquered the fear of lack and self-interest by placing your faith in God. 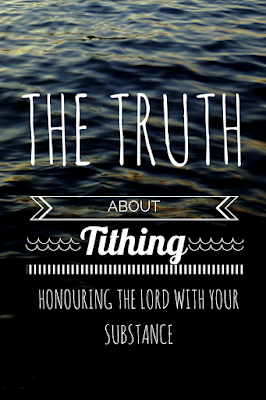 From my personal experience, the blessings of tithing do come and you will have your personal testimony of tithing. Reference: UCB (United Christian Broadcasters) daily devotion and the Institute of Basic Life Principles websites. Excellent write-up. God bless you. Your Faith - Living or Dead? Are You Dwelling On Your Past Mistakes?